Dodgers announce 2016 coaching staff. Update. Gabe Kapler, the runner-up for the manager’s job and a rumored coach for weeks, will remain director of player development. Update: Kapler talked about his decision to stay in the front office, and Roberts explained the challenge of putting together a staff in mid-December. Update: 27 Dodgers prospects will participate in winter development camp. Eighteen-year-old pitching prospect Julio Urias, who was invited to his first major league spring training last week, will take part in the Dodgers’ winter development camp for prospects this week at Dodger Stadium. Urias is one of 27 prospects who will take part in this year’s camp, up from 15 a year ago. Earlier today we posted a partial list of four prospects who will take part in the eighth annual camp (Grant Holmes, Jose De Leon, Cody Bellinger, Ryan Scott). The other 23 participants include pitcher Zach Lee, who also took part in last year’s camp and spent all season at Triple-A. Pitchers Carlos Frias and Daniel Coulombe, who earned their first major league call-ups last September, have also been invited. Another pitcher of note is Ross Stripling, who underwent Tommy John surgery in spring training of last year. Catcher Austin Barnes, who was acquired in the trade that sent Dee Gordon and Dan Haren to the Miami Marlins, will take part in the camp. 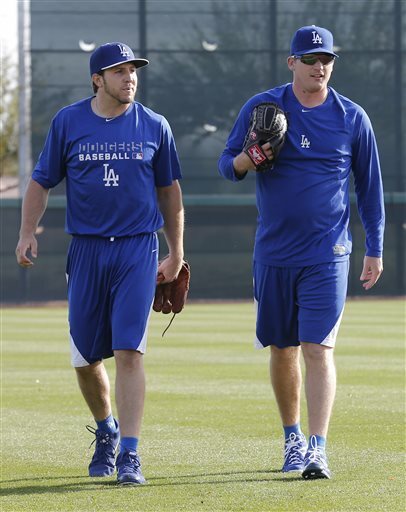 So will outfielders Scott Schebler and Darnell Sweeney, who will be in the Dodgers’ major league spring training camp. Urias isn’t even the youngest invitee. That would be Michael Medina, an outfielder from the Dominican Republic who is 12 days younger than Urias. He finished last season with the Rookie-league AZL Dodgers. Shortstop prospect Corey Seager, 20, was invited to spring training but was not invited to the camp. 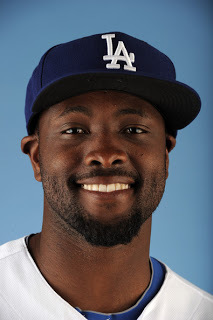 Tony Gwynn Jr. among Dodgers’ cuts. Tony Gwynn Jr. accepted an assignment to the Dodgers’ minor-league camp, catcher Ramon Castro was released and catcher Wilkin Castillo was re-assigned to the minor-league side Monday. The Dodgers have 43 players in camp. Gwynn’s standing on the Dodgers’ depth chart has only fallen since he was designated for assignment and sent to Triple-A Albuquerque late last season. The Dodgers acquired Skip Schumaker for outfield depth over the winter and have seen Yasiel Puig emerge as an option at the major-league level, if not by Opening Day then maybe sometime this year. Matt Kemp and Carl Crawford have made steady progress in their recovery from shoulder and elbow surgery, respectively. Both could be ready for Opening Day, certainly Kemp and maybe Crawford.